Over 25 years of experience in the rental and sale of ice skating rinks for recreation and sport. From advice to implementation with innovative ice rink concepts. Ice-World is the worldwide leader when it comes to portable ice skating rinks. Since 1992, our temporary, semi-permanent and permanent ice surfaces have brought frozen fun and enjoyment to millions each year. With head office, warehouse and production in the Netherlands, sales offices in Germany and China, and an international network of dealers and partners, Ice-World is your trusted one-shop-stop business partner. Ice-World’s unique ice skating rink system, its own R&D department and close cooperation with business partners enable the company to respond quickly to changes in the market. Together with you we look for the best opportunities to make your ice skating rink a reality. And not only do we guarantee top quality ice, we also provide tailored advice and excellent service from start to finish. We will be with you every step of the way to operate the ice skating rink. Because your success equals our success. We do everything we can to help make your ice dreams come true. With our patented system, we deliver the ultimate ice experience, comprehensive support and innovative accessories. Our solutions are multifunctional and energy efficient. 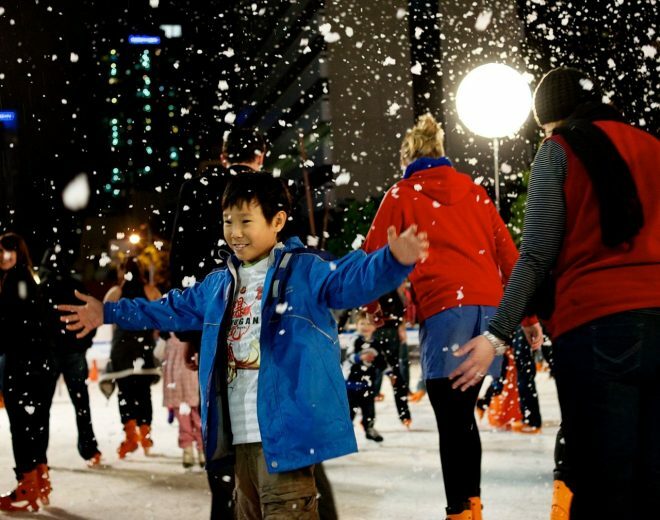 As the market leader in portable ice skating rinks, Ice-World wants to introduce everyone to the fun that people experience on an ice skating rink. Anywhere in the world and in any conceivable location. For customers looking for that special event. We do this by developing innovative ice concepts that use real ice and which stand out in terms of quality and sustainability. Together with our customers, we go for: “Join the ice experience”, our motto, which is reflected in all facets of our business operations. The realisation and creation of the ultimate ice experience is always the starting point for Ice-World. In everything we do we strive to achieve the highest quality and perfection. Our focus is on innovation, sustainability and delivering added value to our customers. In the entire process: From idea to development, from production and logistics to installation, operation and services. A customer-focused approach and the optimal use of our expertise, knowledge and experience are central to this. Mobile ice rinks use a significant amount of energy. And even though the Ice-World system delivers energy savings of up to 40%, we are aware of our responsibility. Ice-World offsets 100% of its CO2 emissions by planting mangrove forests in Myanmar. Furthermore, Ice-World compensates the energy consumption of all Dutch projects with wind energy certificates. We use alternative fuels such as soy biodiesel whenever possible, we recycle all production materials and we only work with environmentally-friendly refrigerants. Our environmental management system is ISO 14001 certified. The patented portable ice skating rink system from Ice-World is made up of foldable aluminium elements. Because of the characteristics of the aluminium system, rapid ice formation can be achieved almost independently of the outside temperature. By using aluminium, an Ice-World ice skating rink consumes up to 40% less energy than other traditional ice skating rinks and can often be skated on within 24 hours. Would you like to know more? If so, please read our article: How does the Ice-World system work?